Along with the many perks of international travel, there is one significant drawback: the dreaded multi-hour layover. Choosing the right airport could mean the difference between cramped quarters and lush garden strolls, or an anonymous food court and a poolside cocktail. Our list of luxury airports with first-class amenities might even have you hoping for a flight delay. Built on an island reclaimed specifically for an airport, HKG was designed with the traveler in mind. It is famously easy to navigate and impeccably clean. 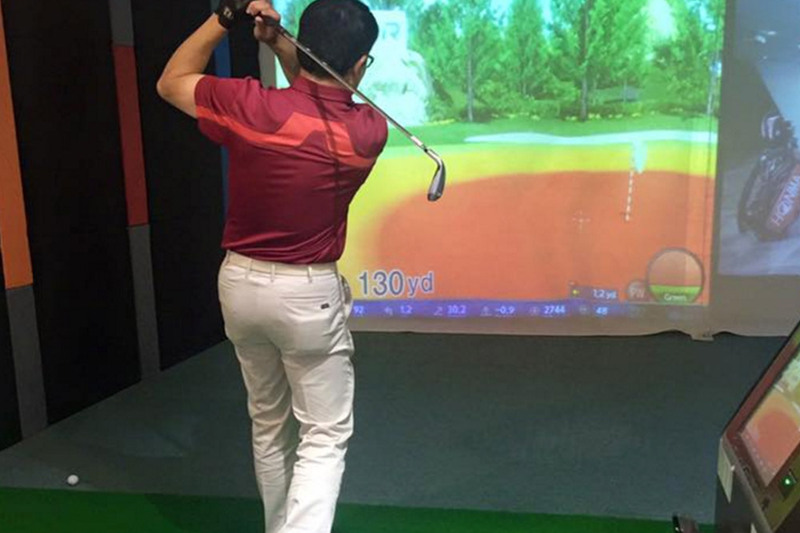 Why: The airport boasts the world’s biggest indoor golf and country club, GreenLive AIR, featuring an 18-hole multimedia golf experience. Eat: No bland airport food here. The approximately 70 dining options are so popular that passengers arrive extra early to allow time for dumplings, noodles, dim sum and other delights. Try Hung’s Delicacies, a branch of the Michelin-starred restaurant famed for its braised goose. Entertain the kids: At the Dream Come True Education Park in Terminal 2, kids can get into uniform and role-play exciting professions like newscaster, doctor, firefighter or astronaut. They earn a “wage” at the end of the experience, which can be exchanged for snacks. Learn about flight: The Aviation Discovery Centre hosts exhibits on the physics and history of air travel, plus there’s a recreated cockpit with a professional-grade flight simulator. Watch a movie: The first in-airport IMAX theater is also the largest screen in Hong Kong, and offers 2D and 3D movie experiences. Still gleaming from its opening in 2014, this $15.5 billion airport was called “arguably the most architecturally significant terminal complex in the world” by Wallpaper magazine. The artful balance of form and function is accompanied by world-class amenities. Why: Meant to call to mind sand dunes and gulf waves, the undulating terminal roof is dotted with skylights and supported by steel and glass walls which provide spectacular views of the desert beyond. 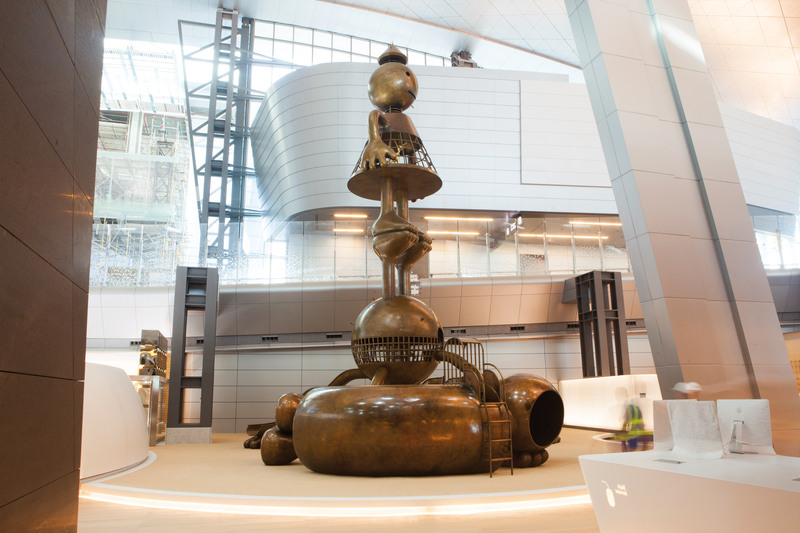 In addition to the modern, open design, cutting-edge sculptures are displayed throughout the airport, including the impossible-to-miss “Untitled/Lamp Bear,” a 23-foot high, 20-ton bright-yellow sculpture by Urs Fischer, and Tom Otterness's "Other Worlds" piece (above). Work: The bronze-walled 107,000-square-foot Al Mourjan lounge is the pride of Qatar Airways and provides sleekly designed conference rooms, business centers and private workstations, along with gourmet meals in multiple dining areas. Sweat: The Vitality Wellbeing & Fitness Centre is ideal for restless travelers. In addition to the fitness studio, amenities include two squash courts and a relaxing 82-foot pool that offers runway views. The city of Dubai is a glittering monument to extravagance, and the airport is no exception. As the world’s largest international airport, DXB caters to the discerning traveler. Why: The more than 350,000 square feet of duty-free shopping is open 24 hours a day. Those making use of the VIP Al Majlis Service have access to a personal shopper to help navigate the massive space. 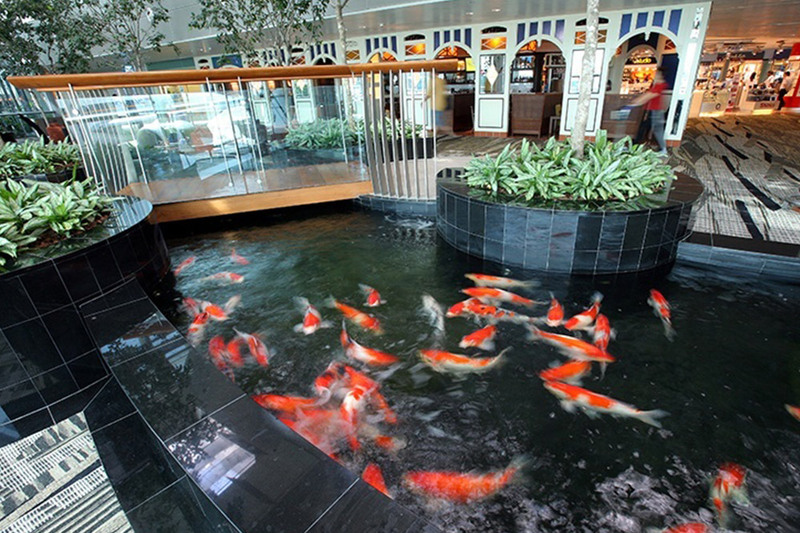 Reflect: The Zen gardens with lush greenery and a fish pond provide a tranquil escape from all the commerce. Nap: Soundproof SnoozeCubes offer a place to lie down in comfort, and touchscreen TVs inside can play music and movies. For longer stays without the inconvenience of customs, book a room at the five-star Dubai International Hotel, located in the airport. Work out: The G-Force Health Club, part of Dubai International Hotel, offers a gym, massages, hot tubs and a swimming pool. With a multitude of kid- and adult-friendly features, it's easy to see why this efficient airport was voted Europe’s best in the 2016 Skytrax World Airport Awards. Who will love it most: Kids. Why: Stale airport air gets old quickly, so the chance to run around outside could be a sanity-saver for someone of any age. Kids can enjoy Visitors Park, which allows them to play pilot in a rescue helicopter, enjoy “miniputt” golf or scale the grassy Viewing Hill to watch planes take off and land. If inclement weather precludes outdoor activities, kids can seek entertainment at the arcades, a playground (with model planes) and Kinderland, where trained caretakers lead arts, crafts and games while the adults unwind in the Parents Lounge. 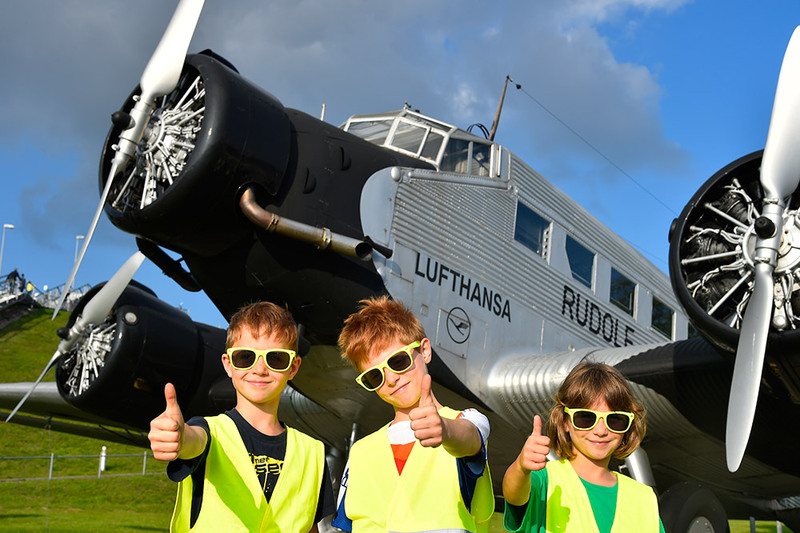 Go back in time: Aviation enthusiasts will appreciate the three historic aircraft on display: a Douglas DC-3, Junkers Ju 52 and a Super Constellation, considered the most beautiful passenger aircraft ever built. Drink: Airbräu, the world's only airport brewery, serves up traditional Bavarian dishes and expertly crafted beer (try the FliegerQuell, an award-winning full-bodied ale). Watch the brewmaster at work while you dine, or relax alfresco in the shaded beer garden. Spa: Get a day pass to Hilton Hotel’s Fit & Fly Health & Spa Club, which includes use of its sauna, 24-hour fitness center and 59-foot pool. Surf: For the sixth year, Munich’s airport becomes a secret surf spot as a massive standing wave pool is installed from Sept. 16 through Oct. 9. Travelers can sign up to surf (the airport provides all necessary gear), or watch the pros during the Surf & Style European Championship tournament (Oct. 7–9). Consistently rated as one of the best airports in the world, Incheon offers a wide variety of services. Who will love it: History and culture buffs. Why: The Korean Cultural Museum displays a fascinating collection of relics spanning 5,000 years, including the oldest wooden slab print, bells from Buddhist temples and trinkets from the royal palace. The Traditional Korean Cultural Experience provides travelers with the opportunity to make Korean crafts like Hanji (Korean paper), try on traditional costumes, take in music and dance performances and purchase artisanal goods. 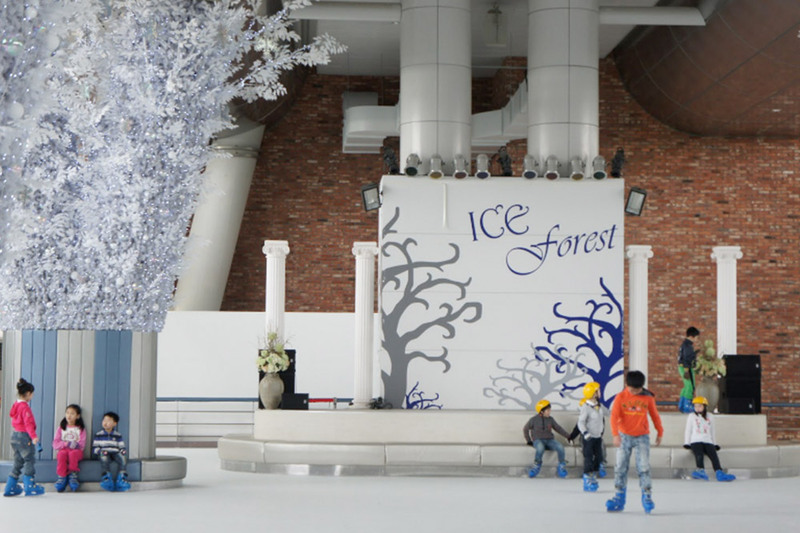 Hit the rink: Visit the airport’s “Ice Forest” to enjoy free year-round ice-skating. Transcend: Enjoy seven themed gardens throughout the airport, from the cactus and pine tree gardens to the flower and water gardens. Watch a movie: In case the in-flight selections were subpar, the airport’s movie theater has two halls of 240 seats showing the latest films. Named Best Airport in the World by Skytrax four years running, Changi represents the ultimate in luxury travel. A destination for locals and travelers alike, the airport is set to double in size over the next 10 years. Who will love it: Nature enthusiasts. 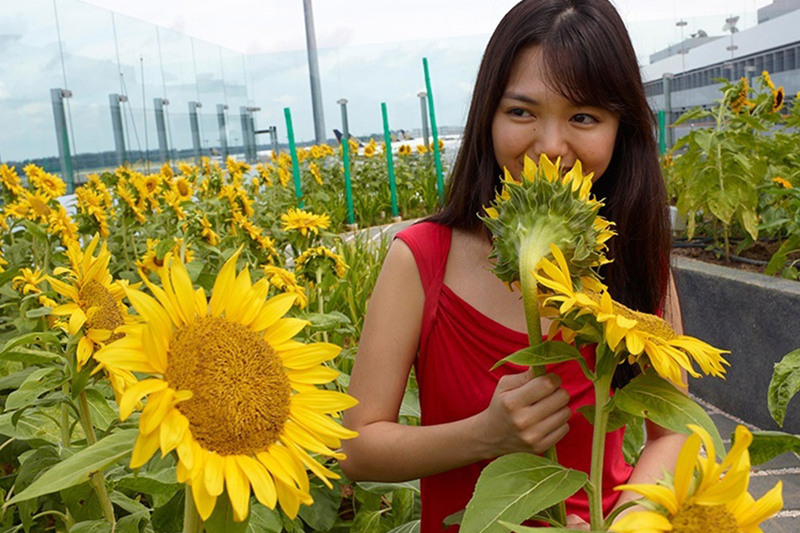 Why: Singapore is known as “the Garden City,” so it’s only natural to have several gardens in the airport. Have a drink at the bar in the rooftop Cactus Garden, roam the outdoor Sunflower Garden (above) or walk a path of sparkling lights as motion-sensored flowers “bloom” in the Enchanted Garden. 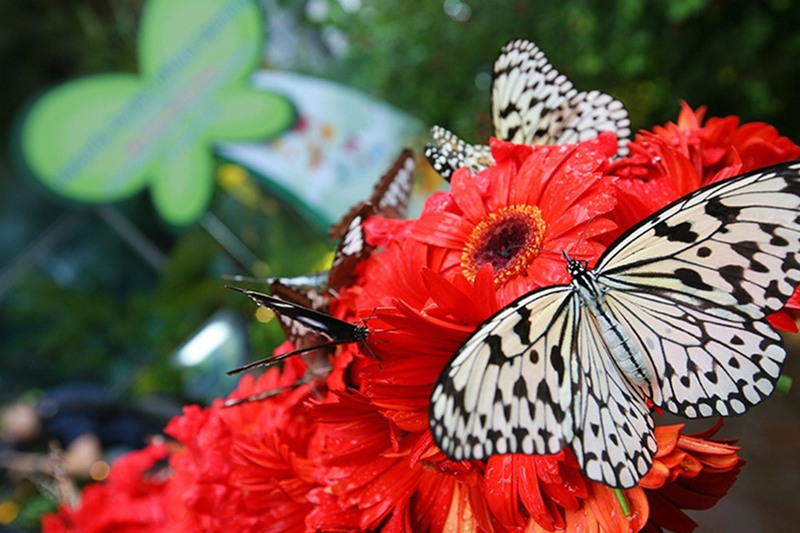 Walking through fragrant, tropical greenery with the distant splash of a waterfall and hundreds of colorful (and real) butterflies hovering about, you may forget you are inside an airport. Less “green acres,” more “penthouse view”? Contemplate: The mesmerizing “Kinetic Rain” is the world’s largest kinetic sculpture. The installation consists of 1,216 metal droplets choreographed to change patterns and shapes. Let the kids play: Echos of children pleading to stay longer can be heard from the Entertainment Deck, equipped with PlayStation, Xbox and a movie theater, along with [email protected], which offers an adrenaline-pumping drop of 39 feet. Take a tour: Those with layovers longer than five and a half hours can take one of two free guided tours, showcasing city sights or cultural heritage. Sip a cocktail poolside: Bask in the sun, drink in hand at the Balinese-themed rooftop pool.